What if we DARE to overcome the insecurities we have about our bodies? What if we instead chose to BARE our vulnerabilities in an effort to conquer them? Could we reveal the most powerful version of ourselves? We Dare to Bare is the primary fundraising event for Movemeant Foundation’s impact programs. The event series gives women the opportunity to reclaim their own confidence while fundraising to give young girls the chance to do the same. We believe that all bodies are beautiful which is why we created We Dare to Bare as a way to celebrate all that our bodies are and all that they are capable of. In a time where calorie counting, misleading media and diet culture is at an all time high, we are taking a stand and reclaiming movement. Movement is a way to appreciate and respect your body. We celebrate movement as a gateway to feeling powerful and confident! CHALLENGE YOUR INSECURITIES. OWN YOUR BODY. Leave your insecurities behind and take ownership of the new confident, radiant you. 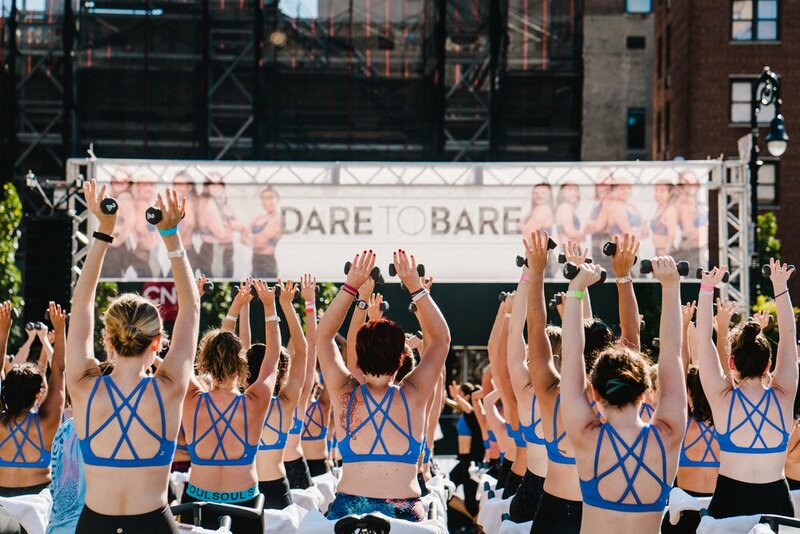 During this day of sweat and support, participants are encouraged to wear our token of confidence - the We Dare to Bare sports bra - so they can celebrate their body exactly as it is and learn to love it unconditionally. 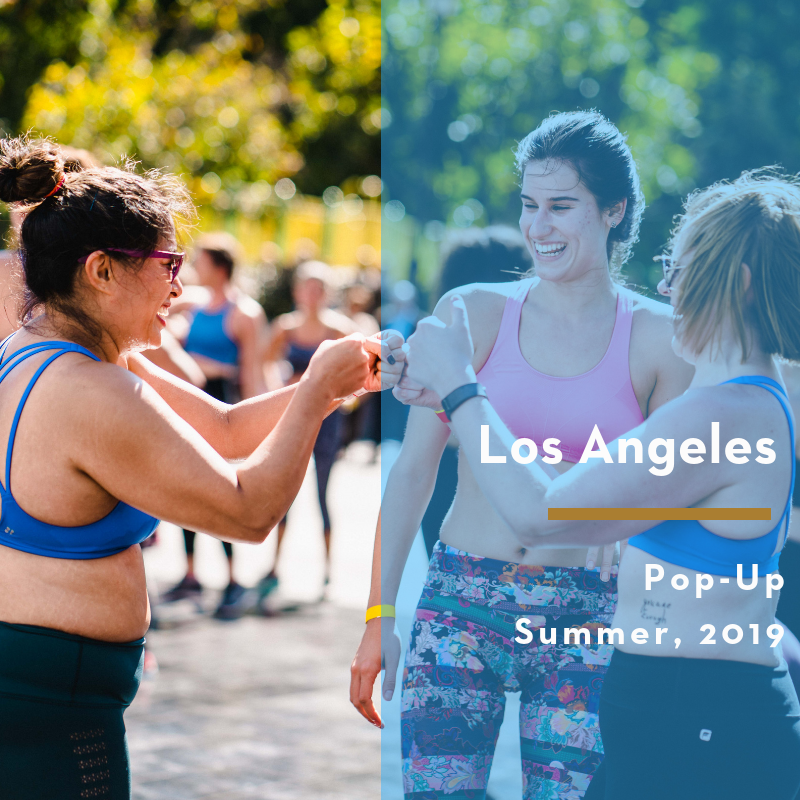 We Dare to Bare is a safe place where you will be surrounded by endless support and meet a community of people who are denouncing their own insecurities and are deeply passionate about movement as a tool for empowerment. By supporting one another and embodying our message of self-love, we can collectively change the conversation around women’s appearances for weight loss and typical beauty ideals to that of acceptance, empowerment and positivity. There has never been a time where girls were more exposed to media pressures and expectations. We are in a pivotal time and need to prioritize the development of young girls so they can grow up to be strong, confident leaders. Your participation is setting and example for young girls that says, all bodies are beautiful and women are your allies, not your competition. Your attendance and fundraising efforts support Movemeant Foundation’s impact programs which provide thousands of girls with the tools, education and community to build and sustain a healthy, body-positive lifestyle so they can pursue their dreams and lead a successful and fulfilling future. Where will we see you this year?